Efficient use of space is one of the key components to successful logistical operations in any business. Whether it’s transporting goods in a warehouse, grocery store, or office, there’s always room for more innovation in compact equipment and flexible solutions. 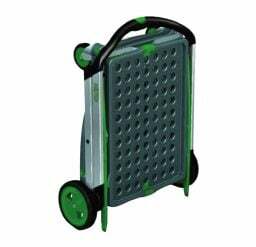 That’s why here at Krosstech, we offer folding trolleys that optimise the functions of your conventional moving trolleys. 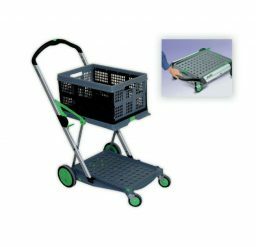 The versatility offered by the easily collapsible trolleys can be applied in offices, stores, service areas and distribution warehouses. Our folding trolleys also combine the need for versatility and functionality. They are designed to be strong, durable, lightweight, and compact. The Clax cart, a popular versatile materials handling trolley, is one of the folding trolleys we offer. It is made from injection-moulded plastic and aluminium, and it comes with a folding box unit. Like all of our products, our folding trolleys are made with high quality materials to ensure maximum use and durability.